The 2012 Goodwood Festival of Speed starts today after yesterday's Moving Motor Show. 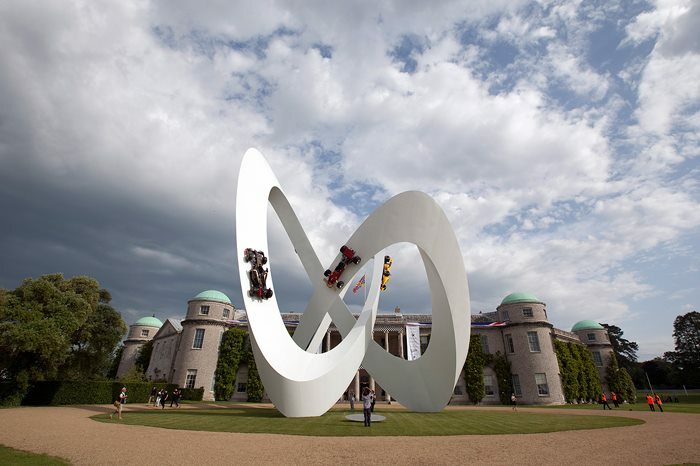 The theme of the 2012 Festival is 'Young Guns – Born to Win', which celebrates young drivers, riders, designers and engineers who have made their mark on motorsport. Given this it seems fitting that double F1 world champion, Sebastian Vettel, should be making his Goodwood debut in 2012. 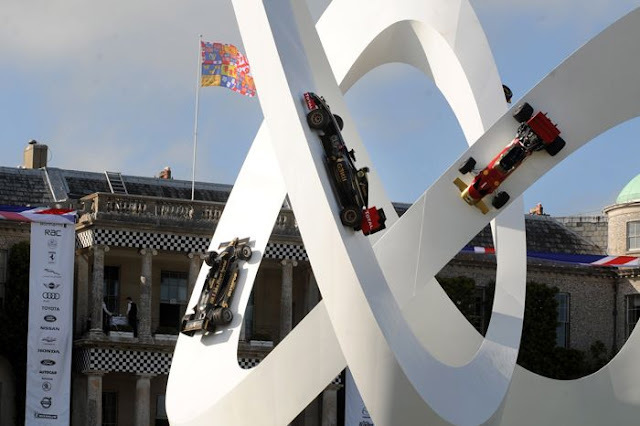 Lotus is honoured in the 2012 Goodwood Festival of Speed's central feature, with an unmissable 28-metre installation in fronts of Goodwood House. More than 300 vehicles and 100 drivers will be in action each day. Expect burnouts, donuts and wheelies from motorsport stars past and present outside Lord March’s elegant house. Every driver is there to entertain the crowds, and it’s the closest most spectators will ever get to their racing heroes, all in the setting of a glorious, albeit loud, garden party.